Our church uses Quickbooks Pro for accounting but we don't use the payroll module (only 1 paid employee). We record our payroll using manual entries (record a cheque against expense accounts and payroll withholding liability accounts. We recently received a credit from the government for overpayment from the previous year, which we are using to offset the monthly remittance. Since the credit ($766) is for overall overpayment, not specifically against taxes or cpp or whatever, I'm not sure how to record this entry. Additionally, since our monthly remittance is less than the credit amount, I can only use a portion of the credit each month, so I would need to be able to record this as well. I am going to assume you received your payroll liability credit because you had a PIER performed by CRA. Your PIER report should give you the breakdown of the credit. If you don't have the PIER report, speak with CRA. You want to figure out what you have been calculating incorrectly so you don't repeat the mistake again this year. source deductions into separate accounts. I just refer to it as payroll tax expense and payroll tax payable ... grouping like transactions into one account just like you would "utilities" for example. Make a good memo note including the year the entry pertains to. You can see with my Chart of Accounts, that you don't actually need to see the breakdown of the credit. All of the credit will pertain to the employer portions. Any overpayment for the employee is returned to the employee when they file their personal tax return. I would also make a note on your list of unusual entries that you give to / discuss with your accountant at year-end. 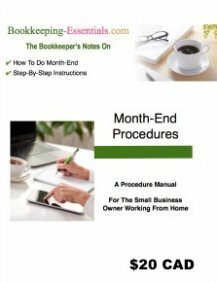 Normally a prior year adjustment would be booked to retained earnings ... but only the accountant should make this type of entry ... and your credit is not a material amount. Your list of unusual entries will bring the transaction to his/her attention. If your accountant wants to handle the transaction differently, (s)he will make an adjusting entry. Once you have made this entry, on your next payroll, you will book the first two entries for your payroll excluding the third entry for payroll liability. You will still file your PD7A report though. I hope this helps Stephen ... but I would definitely bring the entries to your accountant's attention when you submit your year-end work. I must have had a momentary brain freeze ... as you are a church, you are probably doing cash basis accounting not accrual accounting. How do you know if you are using cash basis accounting? You won't have any accounts receivable or accounts payable. If that is the case, your payroll entries are fine. I'm not well versed in the practicalities of cash accounting ... however ... with cash basis accounting, I am fairly certain you don't book the payroll liability credit. You would just NOT book the remittance while using up your payroll liability credit ... i.e. you would send in your completed PD7A with zero dollars paid until your credit is "used up". This is one of the reasons I am not a fan of cash basis accounting. I forget things ... and I would probably keep booking my entry without accounting for the credit. With accrual accounting, I don't have to remember. In QuickBooks, you can keep your books on an accrual basis ... but create all your reports on a cash basis. This allows you to capture entries when they happen so you are not relying on your memory to book them in the future. For example, it allows you to capture your accounts receivable and accounts payable. I am in a somewhat similar situation and use QB payroll. I got a credit from CRA for overpayment of CPP from the Employer portion from 2010. I used payroll liability adjustment and reduced the CPP amount (Employer portion) by the credit amount in the next remittance. Now the CPP portions of employer and employee are unequal at the end of the year 2011 in both T4 summary and PD7A report. Any suggestions to solve this issue are most welcome! 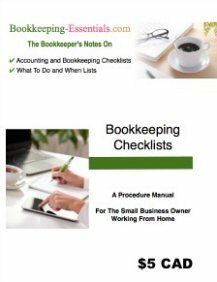 Sana, see my chat on how to record your hiring credit in QuickBooks. You should be able to book your overpayment using the same method for claiming the hiring credit. In your case, your credit pertains to CPP instead of EI. Hi, I also received a notice from CRA that we were receiving a credit - $1000.00 Hiring Credit for Small Business. So I would reduce my remittance by $1,000.00, which account would I debit?